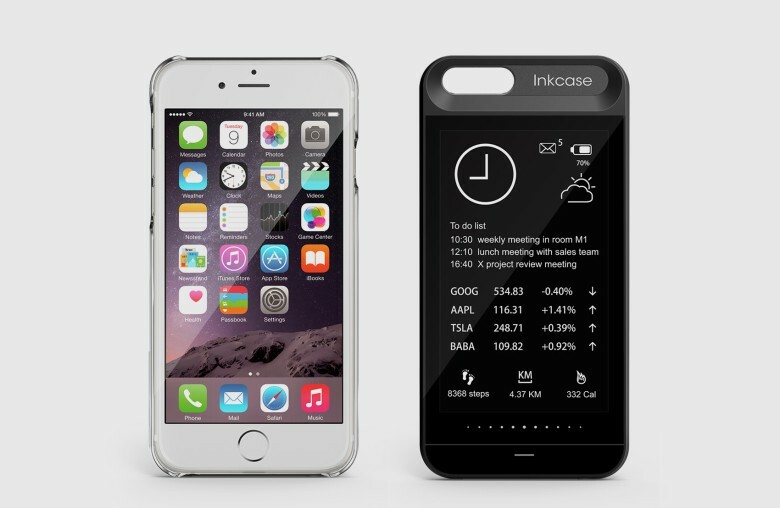 The InkCase i6 gives your iPhone 6 protection and a second screen. We want our iPhone case to look pretty and protect our investment. Beyond that, we ask nothing of it. One technology company wants its case to do a little more, though. OAXIS is launching a case that also serves as a second screen, an e-ink display that gives you time, allows you to receive important messages and lets you read your favorite e-book. The InkCase i6 adds just 4.2 mm of thickness to your iPhone. The InkCase i6 gives the eyes a needed break from the glare of the iPhone screen while giving the iPhone battery a rest; the case runs on its own lithium-polymer battery. Bluetooth connectivity keeps you attuned to incoming notifications and lets you create a wallpaper with personal photos. OAXIS first developed InkCase for Android phones and iPhone 5 last year after a successful Kickstarter campaign and several design awards. It now has cases available for iPhone 6 and iPhone 6s for preorder. The case is $99 during preorder and shipping will begin in November. Its competitor in this unique space is PopSlate, which released an iPhone e-ink case earlier this year to rave reviews. 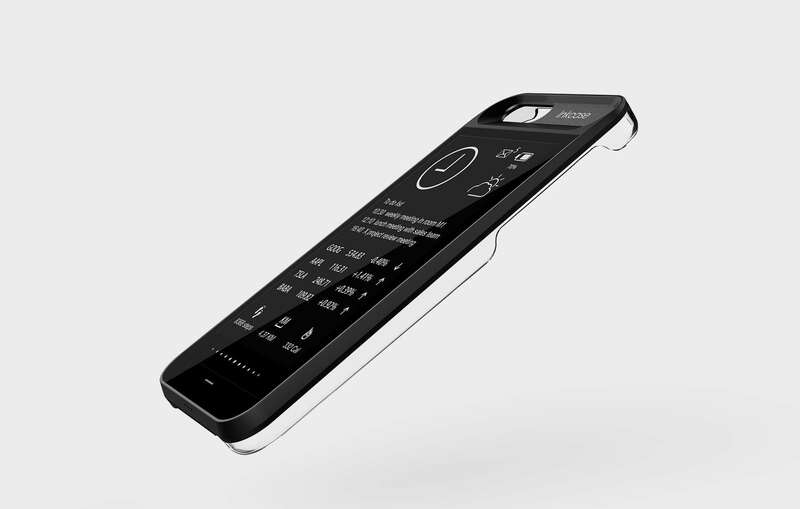 The OAXIS model has a slightly bigger 4.3-inch display and is ultra-slim, adding just 4.2 mm of thickness to the iPhone. Users can easily swipe left or right to switch between images and functions. The case comes in white and black.